For older people and those suffering from dementia, depression can be the only constant companion. A pet can help, but not all senior citizens with depression are able to take care of a pet. 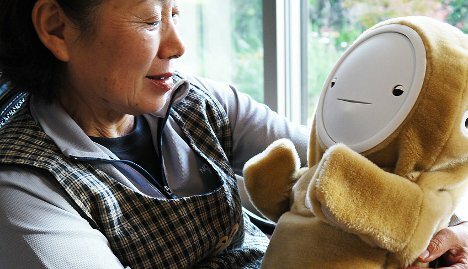 Babyloid, a baby-like robot developed at Chukyo University in Aichi prefecture, Japan, can help older people fight depression by giving them a companion to care for. 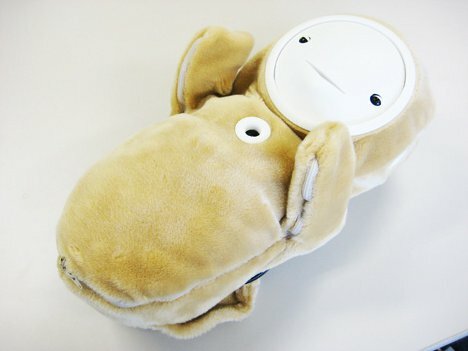 The robot is equal parts cute and creepy. Its wide-set eyes, unrealistic mouth and furry body all serve to keep Babyloid from looking too much like a grotesque human baby doll. But at the same time, its behavior – crying, smiling, sleeping and making real baby noises – is very similar to that of an actual baby. By interacting with Babyloid for 90 minutes a day (in short 8-minute segments), users in a study were able to reduce some symptoms of depression. 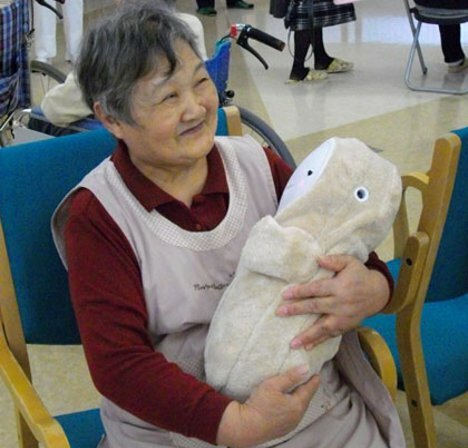 Although Babyloid may not be able to actually return a user’s affection, it seems that just having something to care for and to focus on can help older people feel happier and more satisfied with their lives. 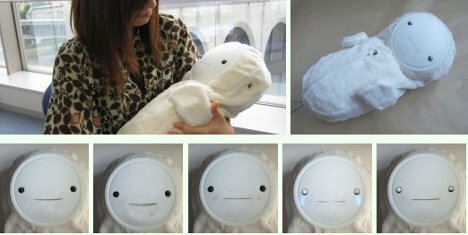 The first Babyloid prototype cost well over $25,000 to produce, but its creator hopes to produce future consumer models for closer to $1200. The price would still be too steep for most individuals, but a Babyloid or two would be an outstanding investment for nursing homes.